Meraas and Caesars Entertainment Corporation, one of the world's most innovative hospitality and entertainment companies, plan to bring two luxury hotels, a conference centre and a beach club to Bluewaters. Bluewaters is the modern, family-oriented destination that is located on a manmade island off the coast of Jumeirah Beach Residence. The plans emphasise Meraas’ relentless efforts to support Dubai Tourism Vision 2020, launched by His Highness Sheikh Mohammed bin Rashid Al Maktoum, vice president and prime minister of the UAE and Ruler of Dubai, by introducing the most exclusive destinations to the emirate. For Caesars Entertainment, Bluewaters will be the first project in its plan to expand into new markets through licensing and management arrangements. 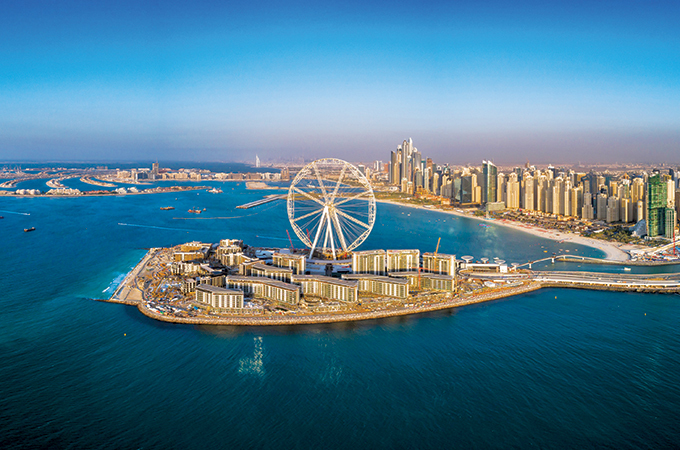 The two luxury hotels – Caesars Palace Bluewaters Dubai and Caesars Bluewaters Dubai – will open in the fourth quarter of this year. The exclusive 178-key Caesars Palace Bluewaters Dubai, will be the world’s second Caesars Palace. It will feature one indoor and two outdoor swimming pools, a 630 square-metre spa and a health centre with stunning views of Ain Dubai, as well as six restaurants. The property will also include a dedicated event hall, a well-appointed meeting room and a business centre. It will also offer conference services and facilities. Caesars Bluewaters Dubai, the second hotel, will feature 301 rooms, two outdoor swimming pools, three world-class restaurants, three meeting rooms equipped to provide business services, and an 850 square-metre event hall. Both hotels will have an array of excellent amenities and services and offer direct access to a 450-metre private beach.